I think to learn about photographs and mental imagery in 2016. The lesson of imagery has already started since October. I wondered which Camera I would purchase for a long time. 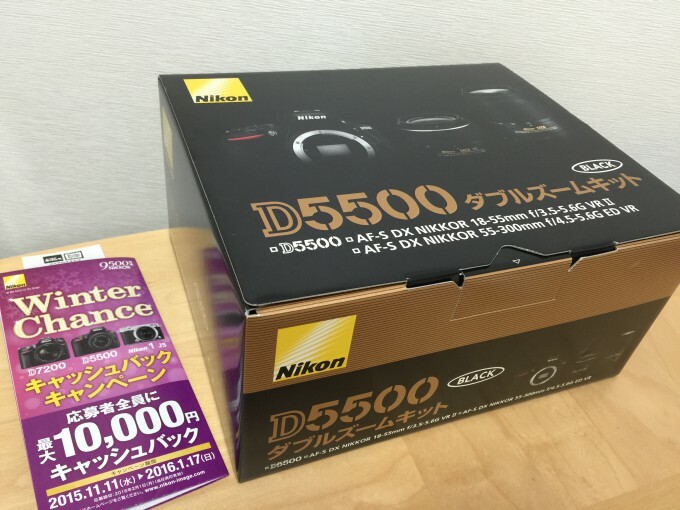 Just now, I’ve decided to buy a Digital single-lens reflex camera, Nikon D5500. As I wanted to buy it cheaper, yesterday I let my husband to apply minapita card and buy it at KITAMURA. All right! I’ll enjoy taking photos in 2016! 笑って笑ってパワーチャージ : Laughing makes me happy!